WARNING: My first send-out of this post had the ingredients all messed up! Guess My brain doesn't work well when sick! SORRY!!!! I know I promised my dressing recipe, but I am still too ill to be baking up a storm, AND we haven't had hot water in the house since last Thursday! Major sigh! Our hybrid hot water heater has had a slow leak probably for the entire 2 1/2-years we've owned it and is entirely corroded!!! We are now at the mercy some "virtual man" who must decide whether to okay a new unit labor free or a new unit and we pay for the installation (Will installed our present hot water heater). Until that is decided, we have no ETA. With the Thanksgiving weekend fast arriving, there is the possibility of no hot water (hot showers) until a week from this coming Tuesday!!! When I began making stuffing way back in my early 20's, I used a recipe from an older friend I worked with named Mary. She was an avid cook with a hefty cookbook collection. Her recipe used a pound of chicken livers. While I love chicken and turkey liver, I found myself in a minority and began using the simple recipe found on the packages of herb seasoned bread stuffing . Of course, I added my own personal touches, and after a few years finally came up with my present day recipe! My days of using packaged bread stuffing and Jiffy corn bread mix are long gone, so, let's look a a simple corn bread recipe to use in my stuffing. 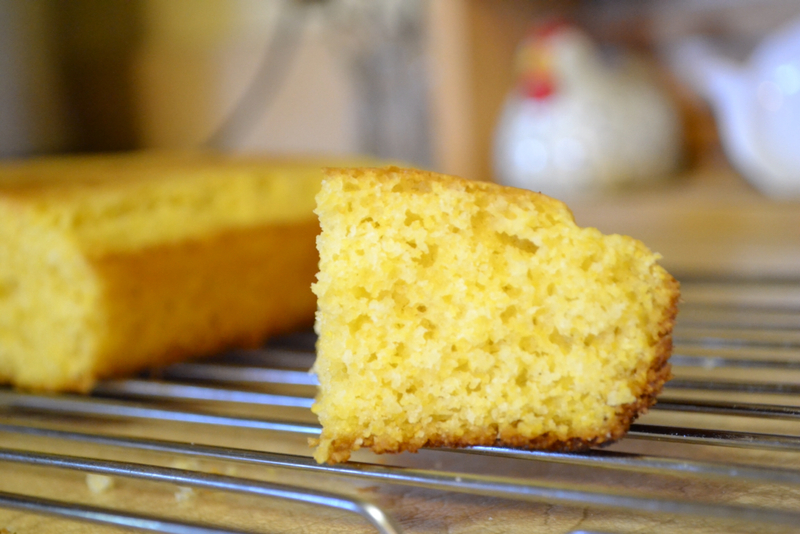 This tasty corn bread recipe is adapted from The Fannie Farmer Cookbook. Spoon into a buttered 8-inch square pan (I reduced the heat to 400F using a glass cake pan). Bake 20 minutes at 425F/400F until golden brown. Store in freezer bag until ready for use. The Cook's "wee bit" of Corn Bread. Feeling a bit better. 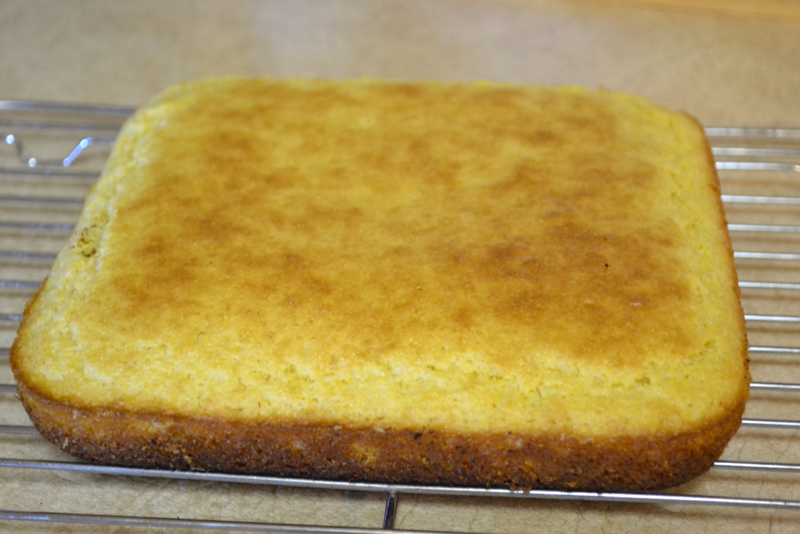 . . and able to make my homemade corn bread. With the "right" measurments and ingredients, this recipe is very easy to make and also is a favorite with a steaming bowl of chili. Still on the mend . . . Over at Julie's!! !